Throw away your electronic tuner – Seriously! The ability to accurately recognize pitch without a tuner is one of the most revered and sought-after skills among musicians, and there’s no better way to develop perfect-pitch than by using a pitch pipe or tuning fork (but who wants to carry around 12 tuning forks?) 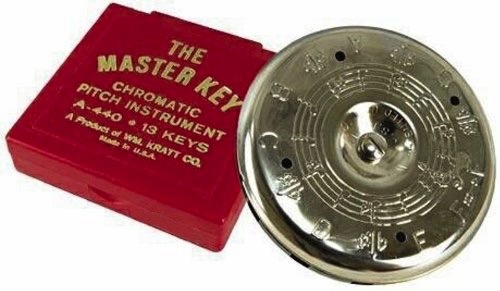 The Kratt Master Key chromatic pitch pipe makes it easy to reference tones from C to C. You can use it for tuning any instrument. 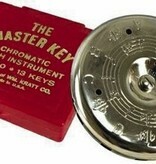 Includes plastic case to keep your pitch pipe clean and safe.